The first Level D full-flight simulator for Airbus Helicopters’ EC175 rotorcraft has received airworthiness certification from the European Aviation Safety Agency (EASA), enabling launch pilots to be trained with this high-fidelity system. Located at the Helisim Training Academy adjacent to Airbus Helicopters’ headquarters and production facility at Marignane, France, the motion-based EC175 full-flight simulator incorporates a state-of-the-art visual projection system with a 210-deg. by 80-deg. continuous field of view. 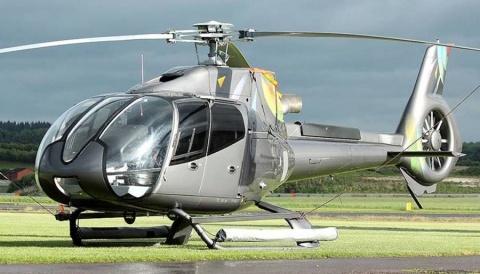 The simulator was built by global technology firm Indra in close cooperation with Airbus Helicopters in its role as the EC175 manufacturer, and is equipped with the same data pack, avionics suite and automatic flight control system as the actual EC175 rotorcraft. Utilizing a motion system, computer-generated visual scenes and accurate representations of cockpit instrumentation, the simulator allows specific mission scenarios to be “flown,” including landings on off-shore platforms for oil and gas operations – enabling the most realistic flight conditions for immersive training. Initial EC175 simulator sessions with EC175 customers have already begun using an Indra fixed-base Flight Navigation Procedures Trainer (FNPT III), which will also be used for Oil & Gas training modules. Courses for mechanics and avionics technicians are also offered on a Practical Maintenance Training Device – which represents the full-scale aircraft. 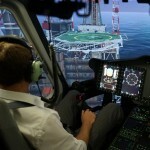 full-flight simulator will be located in the United States to serve the offshore oil and gas industry throughout the Americas. Airbus Helicopters will begin EC175 deliveries later this year to the first customers, backed by the company’s commitment to provide a mature helicopter with a dedicated task force and tools that include validated support and services deliverables, as well as established training capabilities. 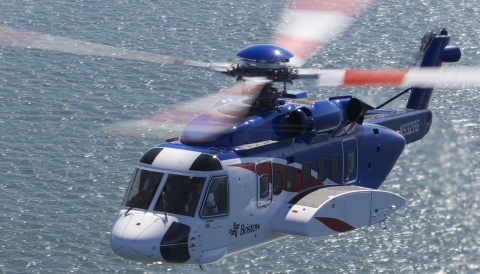 The EC175 was developed in close consultation with operators, providing a medium twin-engine helicopter suited for a wide range of missions – including offshore crew transport, search and rescue, private transport, utility, and medical evacuation operations. 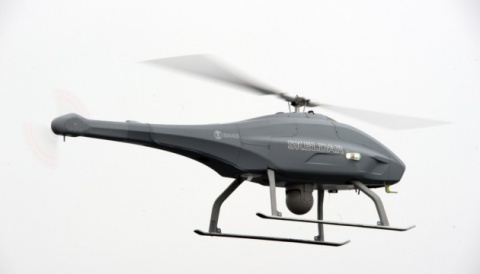 It features Airbus Helicopters’ new Helionix® avionics suite and a digital 4-axis autopilot that increases safety through reduced pilot workload, enhanced situational awareness, improved flight envelope protection and system redundancy.